Five wins so far this season for Sebastian Vettel and Scuderia Ferrari, who had not won in Belgium since 2009. 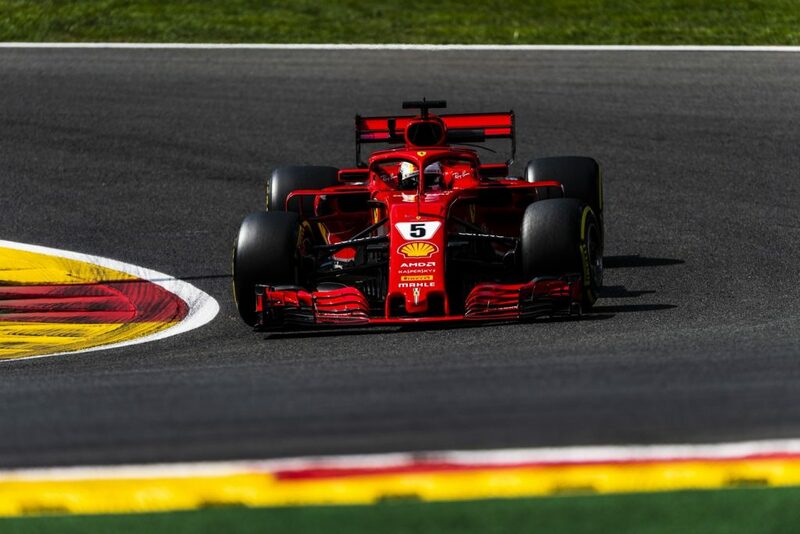 Seb has closed the gap in the Drivers’ championship to 17 points, while the Scuderia has lost a further 5 in the Constructors’ because of Kimi’s retirement after he was hit by Ricciardo at the start. He could have got a great result given the pace of the SF71H, even though he was starting from the third row of the grid. Vettel was second on the grid, with Kimi sixth. The start went off normally, but a McLaren was soon flying through the air: it was Alonso, who had been hit by Hulkenberg. But at this point, all eyes were on the leaders as Vettel immediately got past Hamilton on the Kemmel climb, to take the lead. Immediately after that, the Safety Car came out. The number 7 car pitted to fit the Medium tyres, showing signs of some damage to the floor and bodywork. 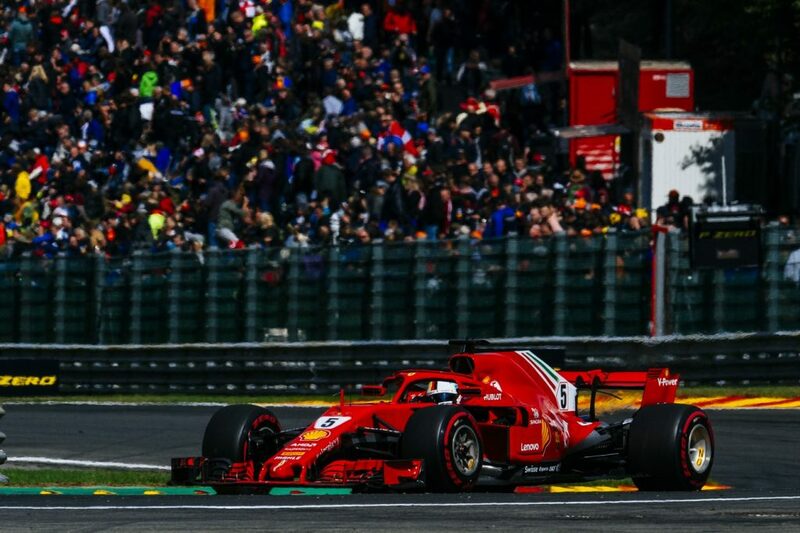 Four laps went by before the restart when Vettel fought off the advances of his pursuers and was able to build a slight lead. 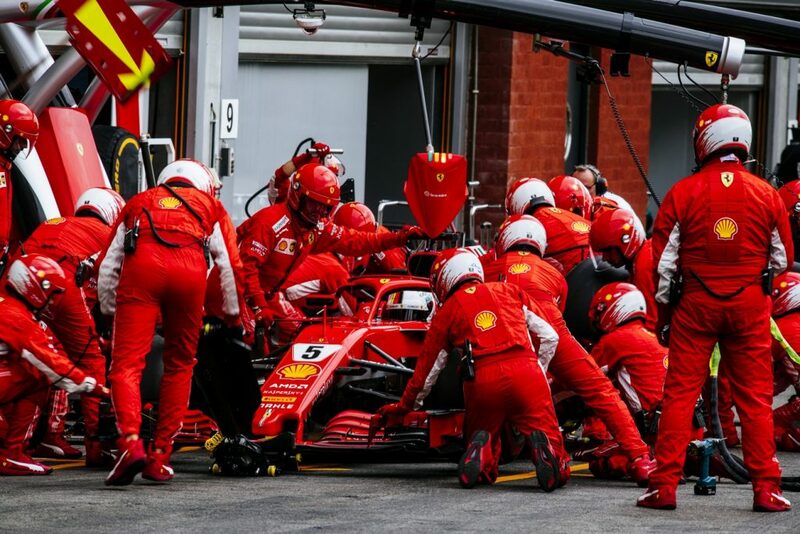 However, his team-mate was struggling to drive his damaged car and returned to the pits to check the damage while work was done on the front wing. But it was all in vain and he was soon back to park up in the garage and retire. With 15 laps to the flag, the Ferrari led by over 4 seconds and the key would be tyre management, but the battle was far from over. On lap 35, it was time to lap the backmarkers. But a cool Vettel continued to show his stride and didn’t give an inch to Hamilton to overtake him. The Brit was struggling to even keep up with his pace. Hamilton’s teammate Valterri Bottas had an incredible race. He started at P17 and managed to make his way up the pack to finish 4th overall. The two other Force India had a great race as well clinching 5th and 6th position. Here are the full standings from the race.